To the website dedicated to Radio Mobile Online. 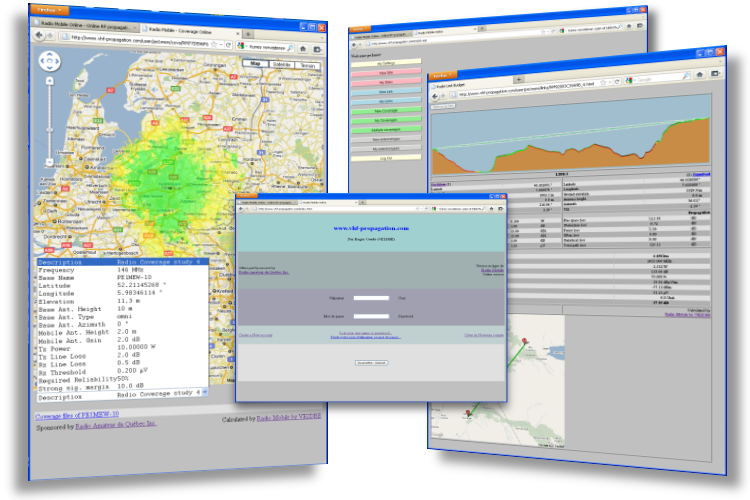 Radio Mobile Online is the online version of the popular RF propagation tool Radio Mobile by Roger Coudé. The digital terrain information comprises two databases: Elevation and land cover. Those databases are located on the server and represent a total of 198 GigaBytes. Radio Mobile is a popular tool for RF studies. Between 2012 and 2015 663304 studies have been performed and 26198 accounts have been made. More information? Follow this link: RMW Online popularity.